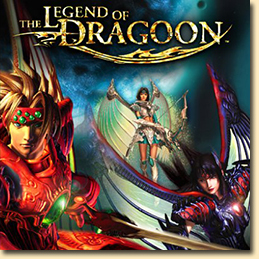 The Legend of Dragoon is a role-playing video game developed and published by Sony Computer Entertainment for the PlayStation. It was released in Japan on December 2, 1999, in North America on June 11, 2000, and on January 19, 2001 in Europe. The game has amassed a very large fanbase following, including several online petitions for a remake, prequel or sequel. The game takes place on the fictional continent of Endiness. It is a geographically diverse land, with each climate zone being home to a different nation. The game begins in Serdio, a temperate region that is undergoing a civil war at the beginning of the game. West of Serdio is the desert nation of Tiberoa, west of Tiberoa is the barren desert known as the Death Frontier, north of Serdio are the icy regions of Gloriano and Mille Seseau, with Mille Seseau being a forested mountain, while Gloriano is a snowy desert.